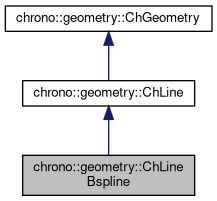 Geometric object representing a Bspline spline. Get the order of spline. Input data is copied. If the knots are not provided, a uniformly spaced knot vector is made. morder order p: 1= linear, 2=quadratic, etc. mknots knots, size k. Required k=n+p+1. If not provided, initialized to uniform. Evaluates a tangent versor, given parametric coordinate. Parameter U always work in 0..1 range. Computed value goes into the 'pos' reference.